An amazing Italian spread, at over 1000 locations across the United States and just one card to let you decipher the sheer culinary pleasure at Sbarro. With the Sbarro's discounted gift card, just enter into any of their locations and savor their pizzas and pastas, sides and salads at prices that are sure to take you by surprise. 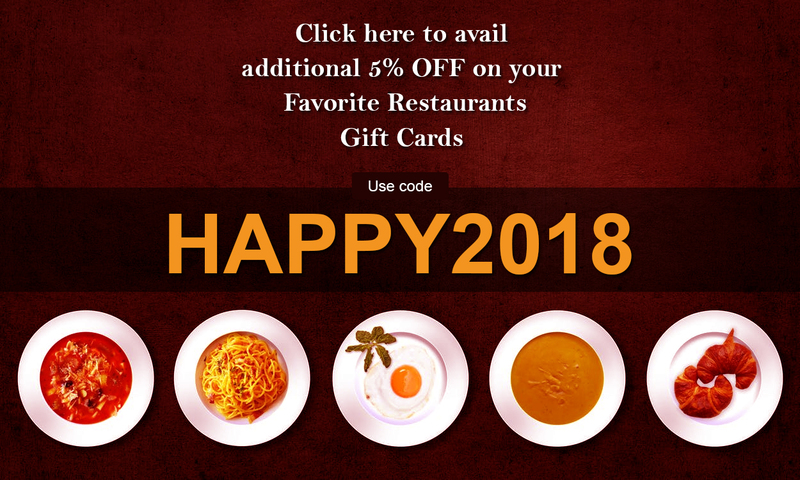 Simply buy these amazing cards before you eat out or take out and save all the way!